There’s nothing like real, live storytellers to catch the imagination of youngsters. With these six tales, each told by a pair of storytellers, students can go on an enchanted voyage, whether they’re in a classroom, cafeteria or theatre. Let your young audiences, from grades 2 through 9, connect, learn, and be entertained through these inventive scripts in one of the oldest forms of entertainment -- storytelling! Running from 6 to 12 minutes each, they include: "Anansi and His Children,” the classic African folk tale of a man and his unusually named children; “Bones,” a spooky, comic tale about a girl, a skeleton and a fabulous treasure; and “The Doll’s Ghost,” an English story about a mysterious doll and the rescue of a human child. 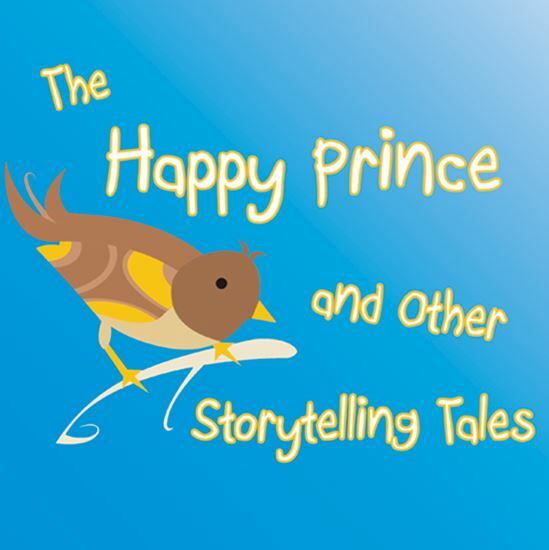 Also included are “The Happy Prince,” the Oscar Wilde classic about the true meaning of friendship; “The Spirit in the Bottle,” a Brothers Grimm tale of an ingenious girl and the genie she discovers; and “Sweet Porridge,” the story of a boy, his mother, a witch and a wonderful pot. Q:WHAT INSPIRED YOU TO WRITE THESE PLAYS? A: My friend Melody Robb and I decided we’d some storytelling for birthday parties and the like, and created an organization called Stories ‘n’ Stuff. It took over our lives: In three years, we performed more than 400 times at schools, libraries, street festivals, theatres, on radio and television (and, finally, at birthday parties), and put seven hours of stories into our repertoire, including many of those included in this volume. Q: HOW DID YOU DECIDE WHICH STORIES TO INCLUDE? A: We wanted a mix of fairy tales (both in classic and modernized versions), folk tales and original stories. We also wanted stories that were short enough that three or more could be told in one sitting, even for audiences as young as five or six. And we wanted stories that avoided traditional male/female roles, in order to enable kids to identify with strong characters of both genders. Q: WHAT'S YOUR FAVORITE STORY? Q: WHAT DID YOU TRY TO ACHIEVE WITH THIS WORK? A: Melody and I were both actors, and we wanted to create a distinctive way to tell stories that was neither traditional storytelling nor theatre. We called it “dramatic storytelling.” It was a way to tell the stories through the characters’ words, as you’d do in a play, with just enough narration to make everything clear.